Place all of the ingredients – except the dark chocolate chunks – in a food processor or high powered blender. Once blended until smooth, empty the ingredients into a mixing bowl. Fold in the dark chocolate chunks. Line an 8×8 baking pan with parchment paper and add the batter. Note: it will be a very thick batter, this is normal. Evenly spread the batter into the baking dish and if desired, sprinkle sea salt flakes/crystals on top. Bake for 22 – 25 minutes or until you can insert a toothpick and it comes out clean. 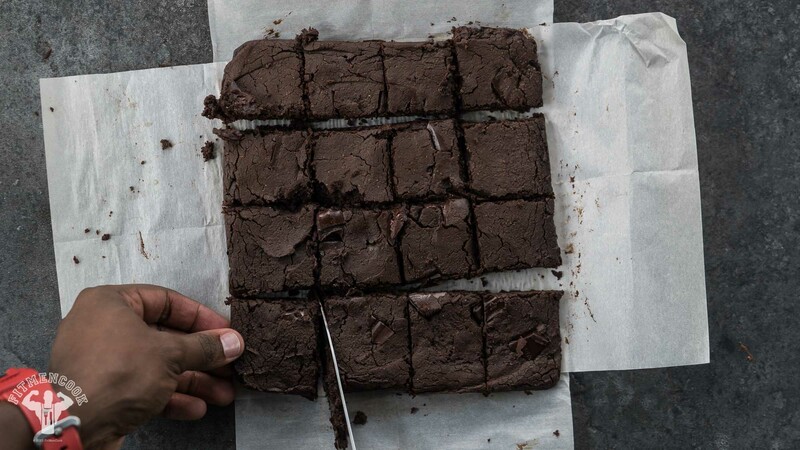 Allow the brownies to slightly cool before removing from the pan and slicing. Serving size will vary – I ate 2 at a time for a total of 8 servings.